Compassionate & Experienced Guidance When You've Been Injured, Every Decision Matters. Seek the Compensation & Outcome You Deserve. Accidents come out of nowhere. No one plans on being involved in an accident, but many people find themselves in this unfortunate and scary situation. When you or a loved one are injured because of the negligent, reckless, or intentional act of another, you need to speak to an experienced personal injury attorney to learn the full scope of your rights. Besides suffering physical injury and owing money for expensive medical bills, you may have sustained property damage. You may even be faced with an injury that causes you to miss work and lose income. You know better than anyone that your injury has caused you to suffer, and the law entitles you to recover monetary damages for your economic losses and physical pain, mental suffering and loss of enjoyment of life. By contacting Jacob Regar Law – a dedicated and experienced personal injury law office – you will be taking the first step to giving yourself or your loved one a much needed voice. Call today for a free consultation: (818) 588-0653. 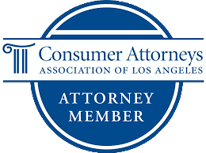 Encino personal injury lawyer Jacob Regar is a committed legal advocate. His passion and talent drive him to protect the rights of injured accident victims. He represents accident victims in the San Fernando Valley, Los Angeles, the Coachella Valley and throughout Southern California. Conveniently located in Encino, CA. Attorney Jacob Regar provides each client with unparalleled personalized, one-on-one attention. When you hire Jacob Regar, you will find him easily accessible, and you will have the opportunity to work directly with your attorney. Jacob Regar is highly competent and ethical. He believes in being a true legal advocate. Talk directly with your attorney throughout your entire case. You will find Jacob Regar to be a great communicator and very knowledgeable. Jacob Regar takes a strategic approach to every case. And he is quickly able to adapt to the situation and circumstances. Jacob Regar is a graduate of CAALA’s Plaintiff Trial Academy, and he is a student of the Trojan Horse Method. Contact me -- an experienced personal injury attorney -- and we will discuss your facts. When you contact my office, I will analyze your facts in light of the applicable laws and determine whether I can help you recover compensation for your personal injuries. I offer representation for accident victims that have suffered injuries caused by car accidents, truck accidents, motorcycle accidents, bicycle accidents, pedestrian accidents, wrongful death, slip and fall accidents, premises liability accidents, medical malpractice, negligently maintained public property, uninsured and underinsured motorists, assault/battery, dog bites, defective products. Cases are accepted on a contingency fee basis: no recovery-no fee. You are his number one priority. Treat every case as if it was my own. Give the quality service and experience that I would want if I needed an attorney. Build trust with each client. This comes from working closely with my clients and showing them that I care about what they’re going through during this difficult time. I take the time to explain details to the extent necessary so that my client has sufficient information to make important decisions about their case. You can only maximize case value by understanding what drives value. Every client deserves a knowledgeable attorney.